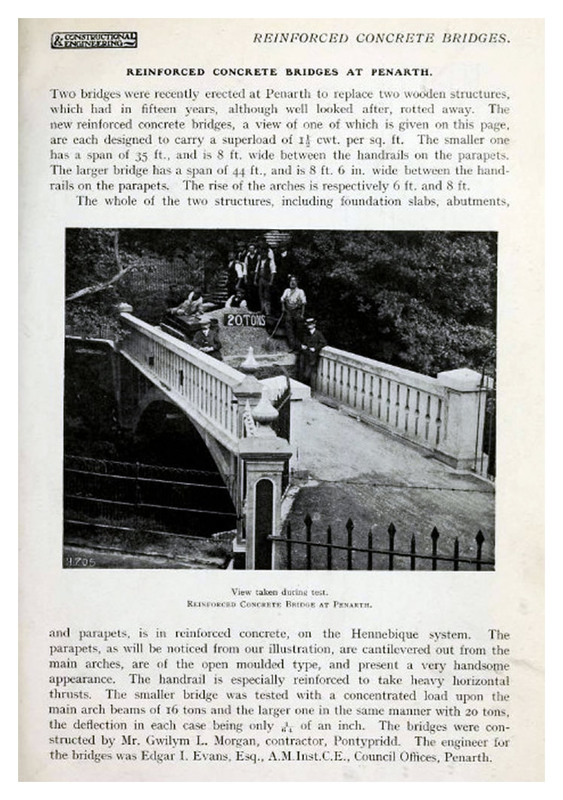 ◊ Reinforced Concrete Bridges at Penarth - A 1911 article from the periodical 'Concrete and Constructional Engineering' describing the reconstruction of the two former wooden 'Dingle' bridges using reinforced concrete. Note the 20 ton test weight at the centre of the span. 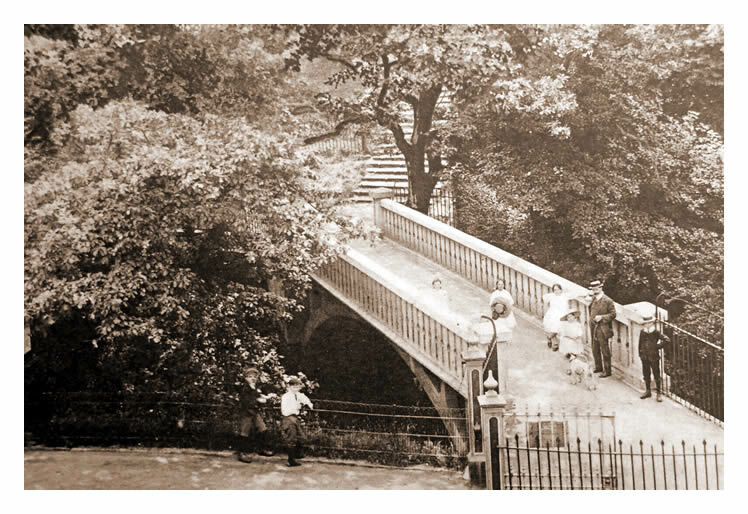 'Two bridges were recently erected at Penarth to replace two wooden structures, which had in fifteen years, although well looked after, rotted away. The new reinforced concrete bridges, a view of one is given on this page, are each designed to carry a superload of 1½ cwt. per sq. ft. The smaller one has a span of 35 ft., and is 8 ft. wide between the handrails on the parapets. The larger bridge has a span of 44 ft., and is 8 ft. 6 in. wide between the handrails on the parapets. The rise of the arches is respectively 6 ft. and 8 ft.